The claim of the advocate being against public policy and being an act of professional misconduct, proceedings in the complaint filed by him have to be held to be abuse of the process of law and have to be quashed, the Bench held. Holding that a fee amount claim by a lawyer based on percentage of subject matter in litigation cannot be the basis of a complaint under Section 138 of the Negotiable Instruments Act, the Supreme Court in B. Sunitha vs. State of Telengana, has quashed such a complaint filed by a lawyer against his client. 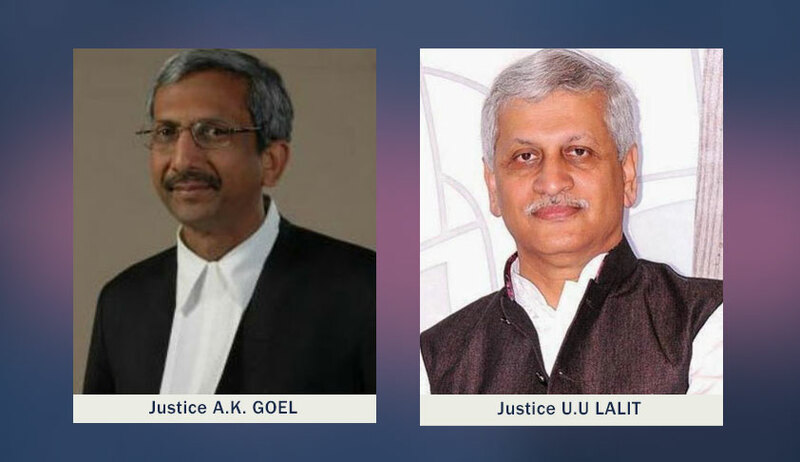 The Bench of Justice AK Goel and Justice UU Lalit observed that the said claim made by lawyer based on a share in the subject matter is a professional misconduct and the proceedings in the complaint filed by him have to be held to be abuse of the process of law and have to be quashed. Widow of a man who died in a motor accident had approached the High Court seeking to quash a complaint filed by her lawyer who represented her in the case seeking compensation, against her. It was her contention that she had already paid ten lakhs as fee to the lawyer and he had forced her to sign another cheque despite her stating that she was unable to pay more fee as she had no funds in her account. Although, before the High Court, she contended that the claim made by the lawyer was in violation of Advocates Fee Rules and Ethics as fee could not be demanded on percentage of amount awarded as compensation to her, the High Court dismissed her plea holding that Advocates’ Fee Rules are only for guidance and there was no bar to fee being claimed beyond what is fixed under the Rules. The High Court also found favour with the lawyer’s contention that amount included his fee for engaging an advocate in the High Court and the Supreme Court. This order of High court was assailed before the Apex Court. The Bench observed that mere issuance of cheque by the client may not debar him from contesting the liability and If liability is disputed, the advocate has to independently prove the contract. The Court referred to the Apex Court decision in in the matter of Mr. G.: A Senior Advocate of the Supreme Court the claim of an advocate based on a share in the subject matter is a professional misconduct. The Court also quoted in approval a Madras High Court judgment (C. Manohar vs. B.R. Poornima) in which it held that no presumption could arise merely by issuance of a cheque that amount stipulated in the cheque was payable towards fee. The judgment also quotes a Bombay High Court (Re: KL Gauba) observation that fees conditional on the success of a case gives the lawyer an interest in the subject matter tends to undermine the status of the profession. “The same has always been condemned as unworthy of the legal profession. If an advocate has interest in success of litigation, he may tend to depart from ethics.”, the Bench said quoting the said judgment.